Speak Now for Kids in Health Reform is a national campaign sponsored by the National Association of Children’s Hospitals (N.A.C.H.). N.A.C.H. is joined by national partners and supporting organizations from around the country who all care deeply about how children will be treated in health reform. Speak Now for Kids in Health Reform urges parents, family members, health care providers and other advocates to tell Congress why children matter in health reform – through stories, photos and videos. Be a champion for children and Speak Now. The Speak Now for Kids Campaign provides you with an opportunity to lend your voice to the health care reform debate on behalf of children through multiple social media platforms including Facebook and Twitter. 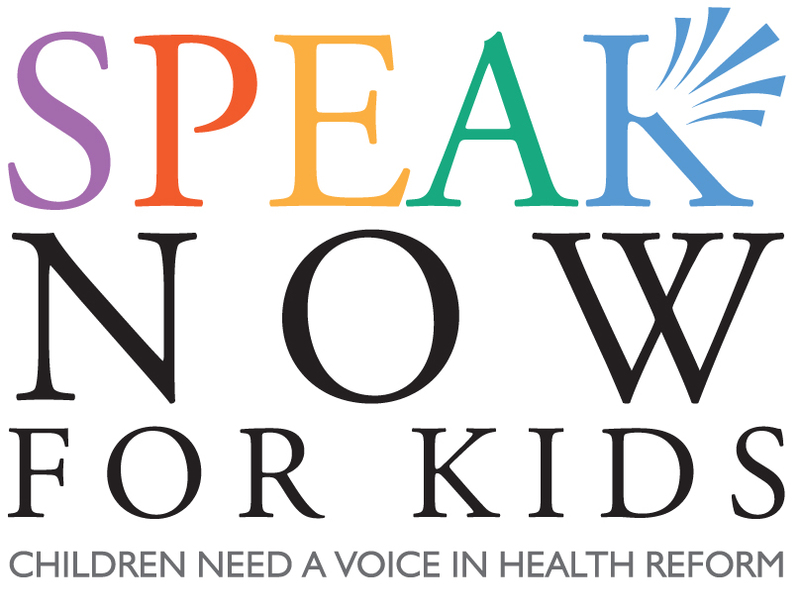 Help spread the word about Speak Now for Kids and ensure that Congress hears from your friends, family and social networks from around the country who agree that children need a voice in health reform. We’ve provided you with all the tools you need – web buttons, sample tweets, a downloadable flyer and ready-to-print stickers. You can quickly become a champion for children’s health by following the Speak Now Advocate’s Guide. What can we do as moms and bloggers? Join me in spreading the word! 2. Speak to Congress about the importance of children’s health care. To learn more about the campaign and tweet with a representative from the National Association of Children’s Hospitals, join us this Wednesday, May 6th, from 9 to 10 p.m. eastern time on Twitter for a #SpeakNowforKids SiteWarming. If you plan on joining me and taking action by posting about this on your blog, please link with all of us moms here on Mr. Linky. Don’t miss this opportunity to speak up for the healthcare needs of our children, especially now that they are not old enough to speak for themselves.